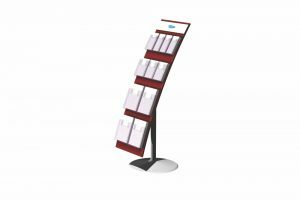 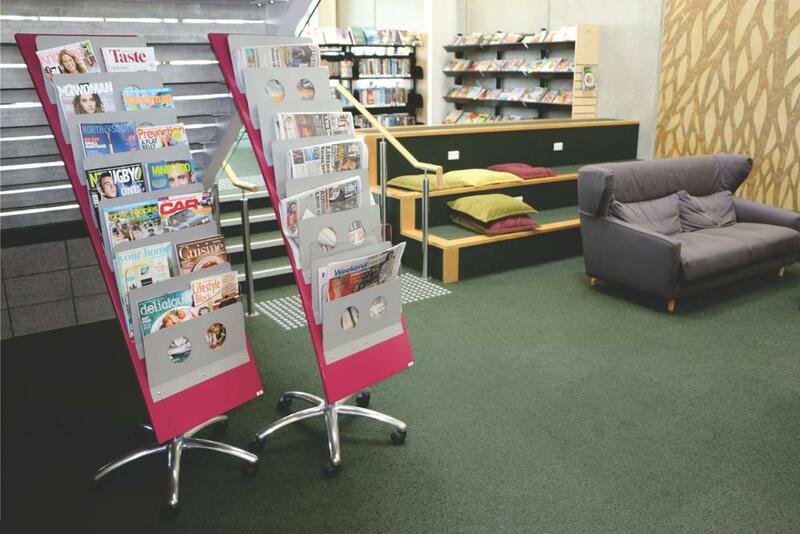 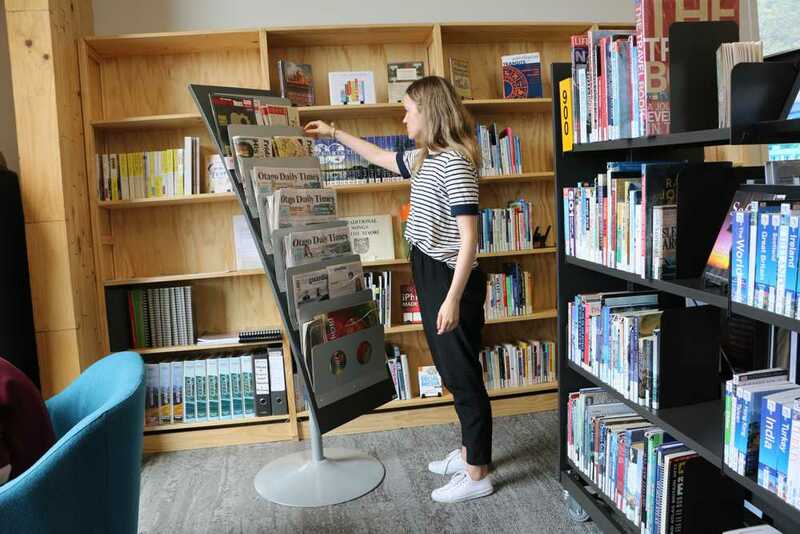 From our WOW display range comes our handy WOW NEWS Stand — a great addition to your newspaper and magazine reading zone. 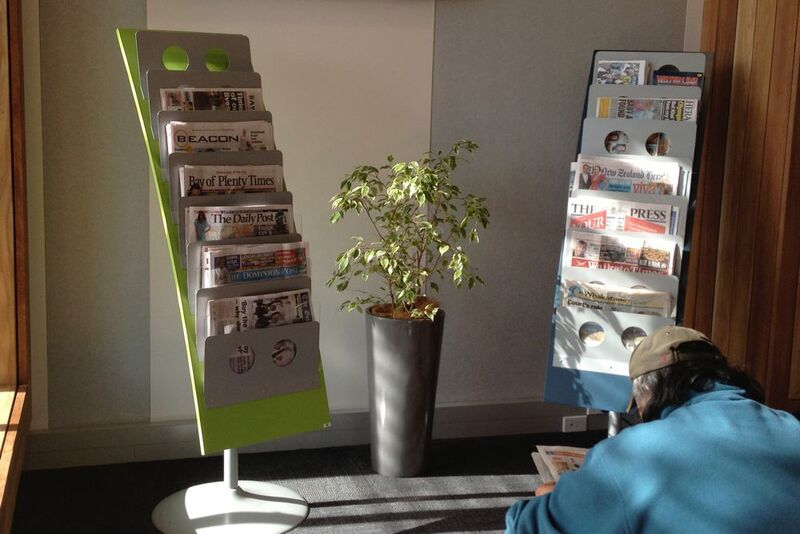 WOW NEWS Stands are designed to present the latest week’s newspapers and magazines. 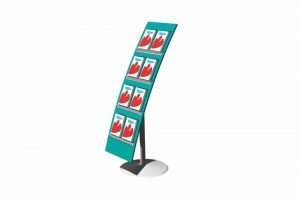 Stand out with your own choice of colour for the curved display panel. 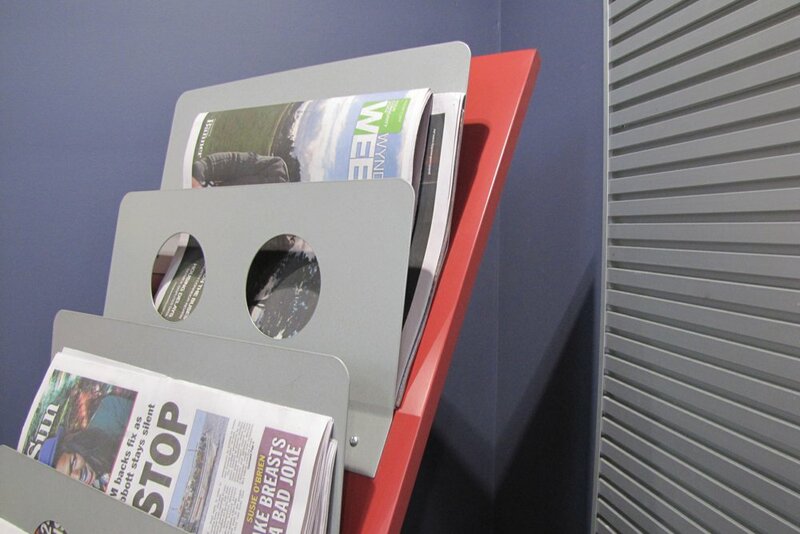 A curved frontage for maximum presentation. 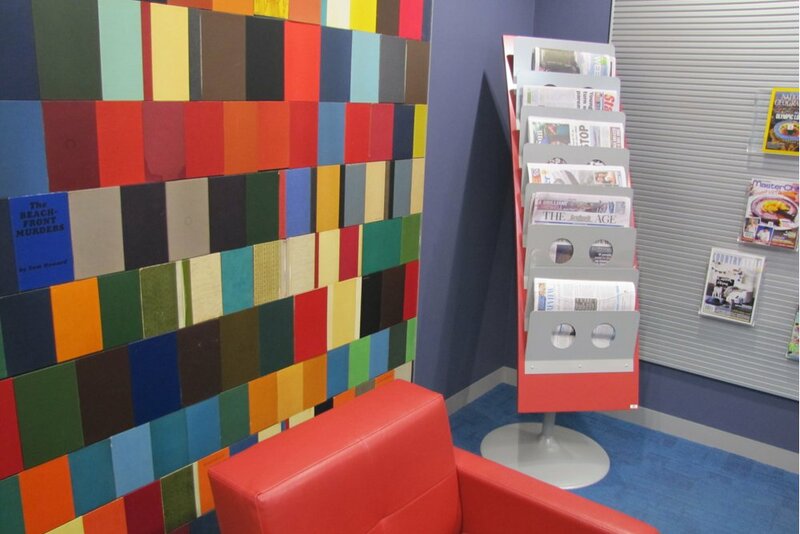 Choose your display panel colour from the Resene paint range. 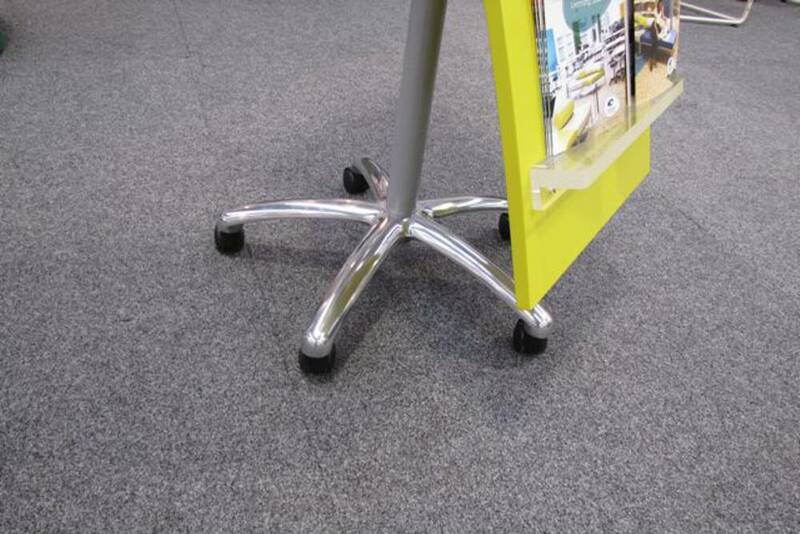 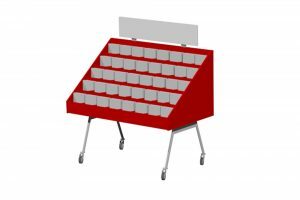 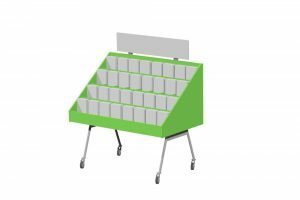 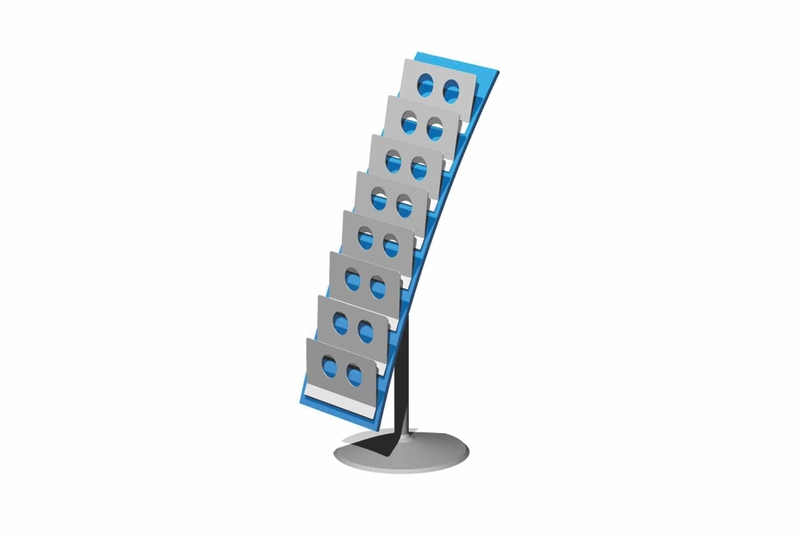 Choice of Wineglass base or mobile five-star base on castors.